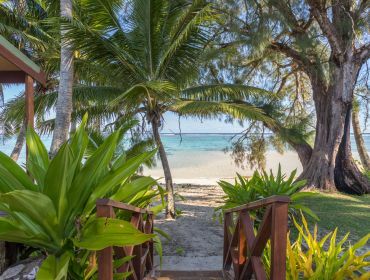 TeRito Lagoon Villas are situated on the south side of the Island with miles of white sand at your doorstep. 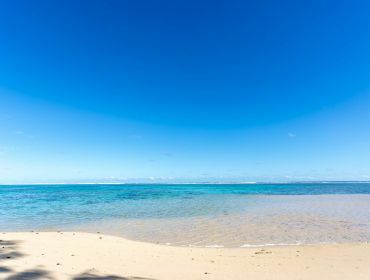 Slip into the crystal clear waters and discover Rarotonga's bountiful marine life. 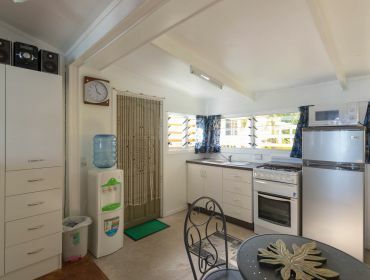 With several restaurants and a small store only a short walk away, and 5 minutes to Wigmores Supermarket, you couldn't find a more perfect location for your holiday. 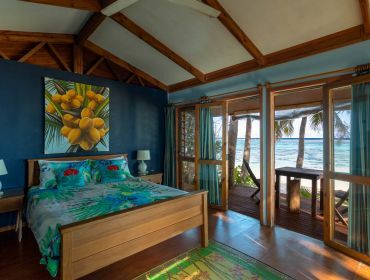 TeRito Lagoon Villas consist of four villas on the Titikaveka lagoon. 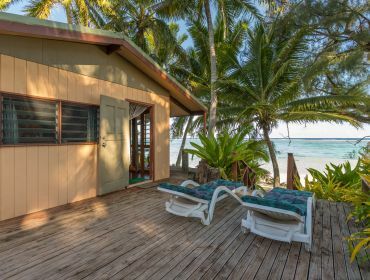 The Beachfront Studio is a recently renovated studio with separate kitchen and outdoorsy bathroom right on the sand - absolute beachfront! 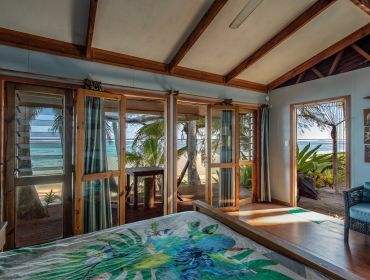 Enjoy lagoon views from your private deck and even from your bed! 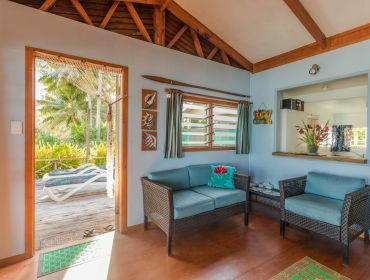 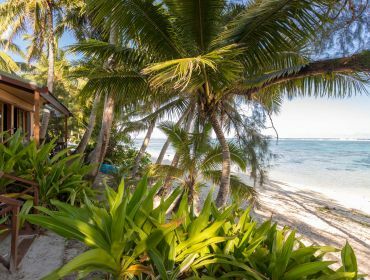 The Beachfront Villa has a fully-equipped and spacious kitchen, options for indoor and outdoor dining and a private lounger on the deck for relaxing and reading a book or just admiring the view. 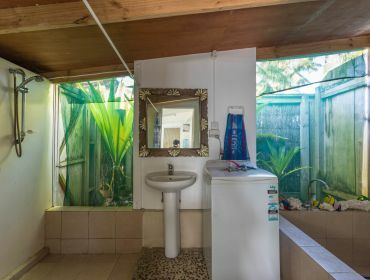 Rates: NZ$220 per night. 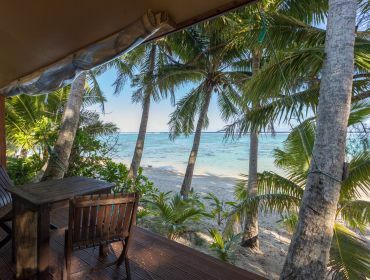 3 night minimum stay. 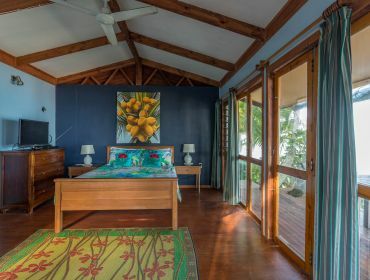 Sleeps a maximum of 2 adults in this standalone studio with queen bed and bathroom.